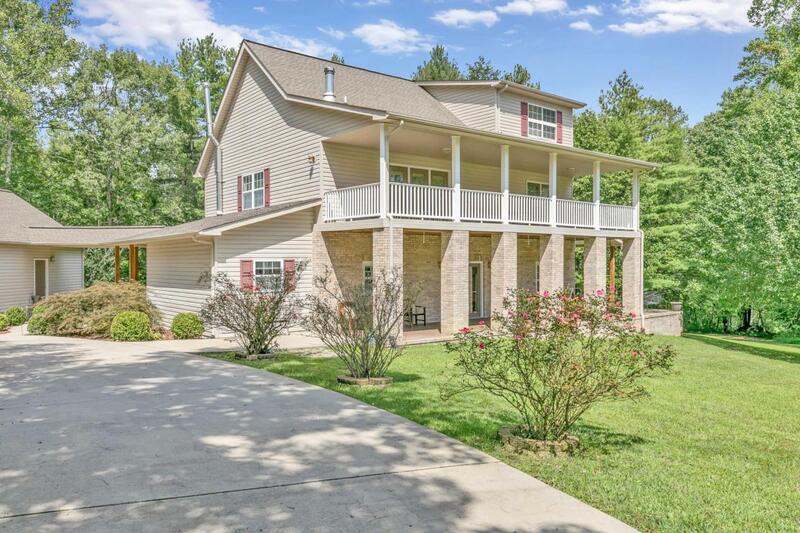 Come see this beautiful custom built retreat with a private pond seated on 29 acres on Cagle Mountain in Dunlap! 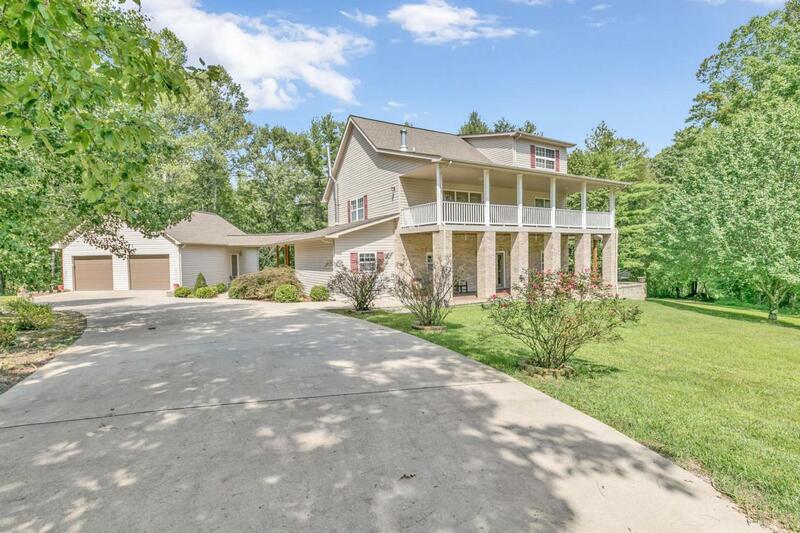 It�s all comforts of a relaxing family vacation right at home: wrap around porches, a stocked fishing pond, basketball court, volleyball court, kids playground, private wooded trails, and so much more! Inside the home is so much space for entertaining guests. 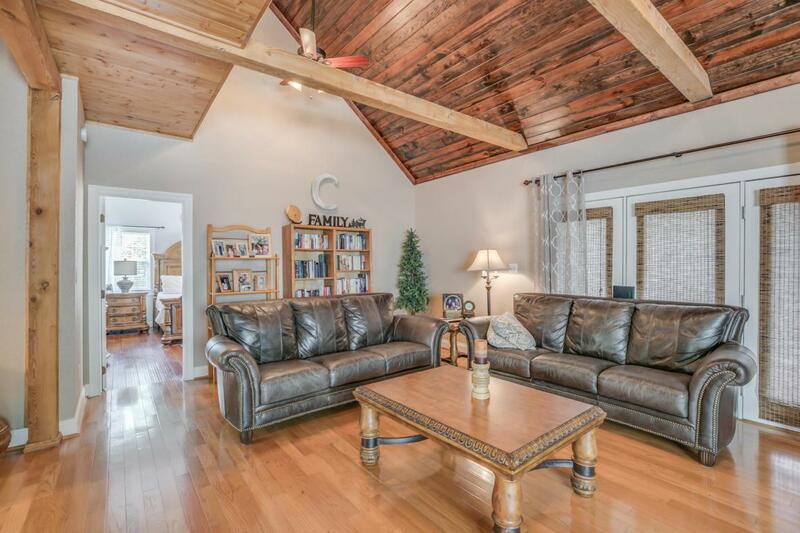 The bottom level is an open layout with the kitchen, living, and dining areas, featuring granite countertops, seating at the kitchen island, and a wood burning furnace all surrounded by windows full of natural light overlooking the secluded pond and wooded acreage. Two bedrooms, a full bath, and an office nook are also on this level. 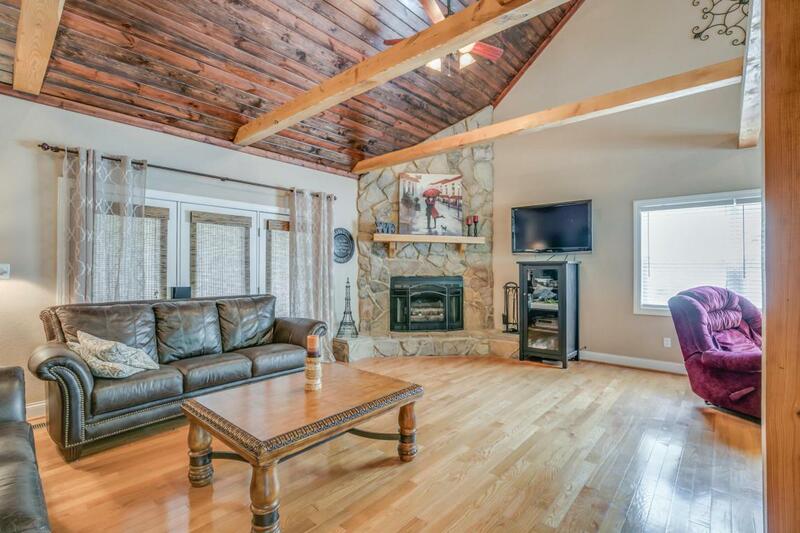 Upstairs is a beautiful, spacious great room with gorgeous custom hardwoodceilings, a fireplace, and 2 spacious areas for gatherings that open onto the large covered balcony overlooking the pond. The master suite also has access to the balcony and has been remodeled: new hardwoods, light fixtures, separate vanities, shiplap walls, a custom tiled shower, a beautiful freestanding tub, and his and hers closets. The third level has 2 additional private bedrooms for kids or guests.This beautiful home also has a second home on an additional 2 acres available for sale separately. This would make the perfect guest house or in-law suite Easy access to Hwy 111 and only 45 minutes to downtown Chattanooga. Schedule your showing today!